The Labour Party have released this piece of online content which alerts people to the fact that the government’s decision to reduce the top rate of income tax from 50p to 45p for those earning over £1 million a year comes into effect on 6th April 2013. Independent financial organisations have estimated that this will save around 13, 000 people, all earning £1million+ a year, around £100, 000 annually. When you compare this saving to the overall reductions that a far greater number of people will experience (the millions of people on working benefits stand to lose around £500 per year) the policy can be made to seem incredibly unjust. 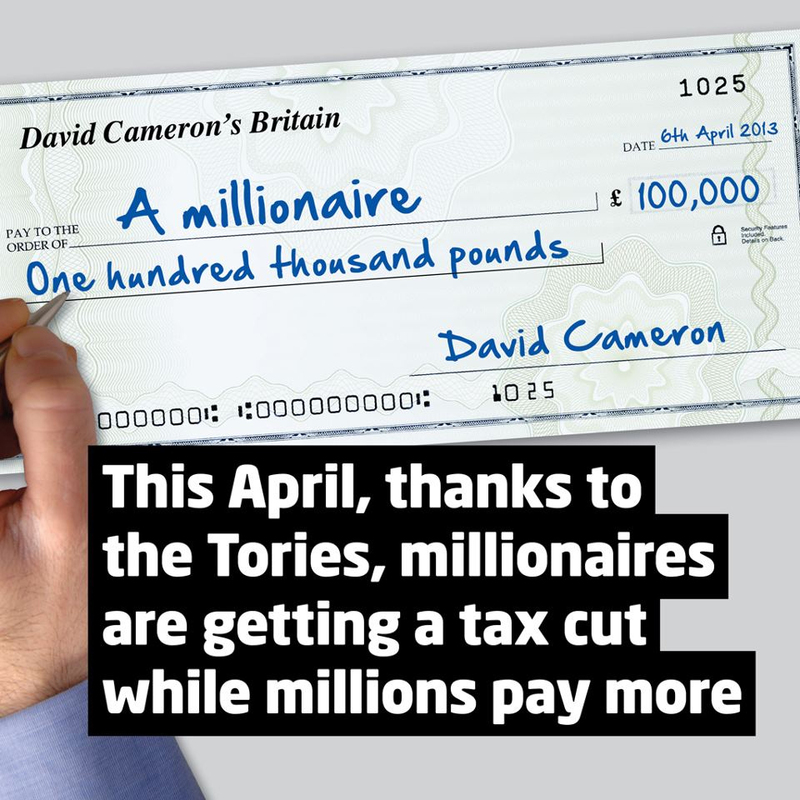 In his Labour Party Conference speech last year, Ed Miliband said: “Next April David Cameron will be writing a cheque to each and every millionaire in Britain” and the comms team at Labour HQ have taken that sentiment and put it in an image. It’s a fairly dry piece of content. It looks very staid and corporate. When the Labour Party’s content is at its best it has spirit, energy and attitude. The party’s comms needs to inspire people to get more involved or tickle them enough to share it with their (non-political) friends. Using stock-looking-photography and creative vehicles like a cheque book are not the way to do this.